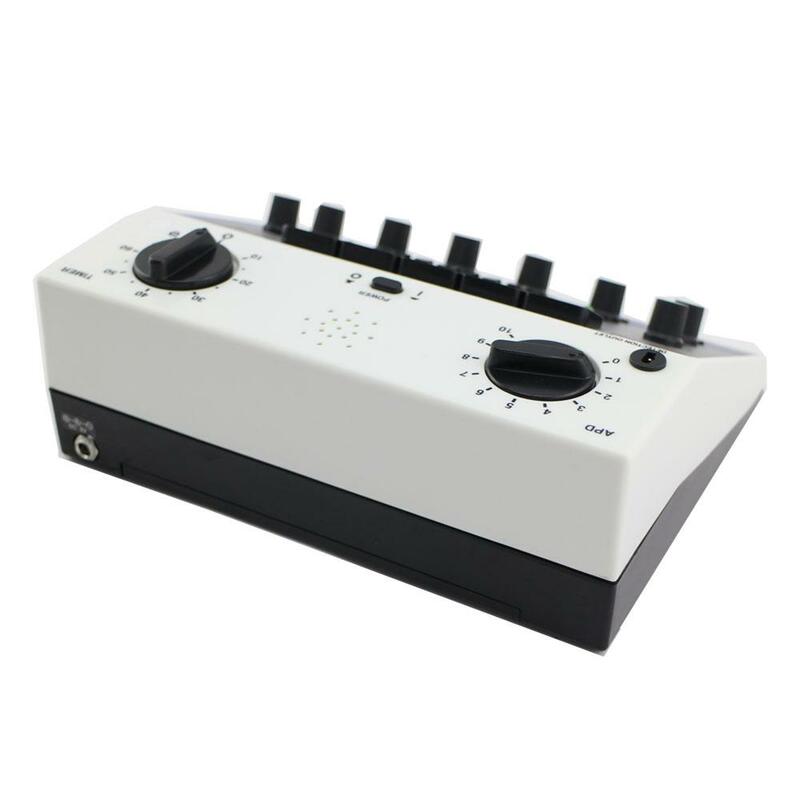 Both of these models are professional model of acupuncture apparatus, having a very nice and modern design. 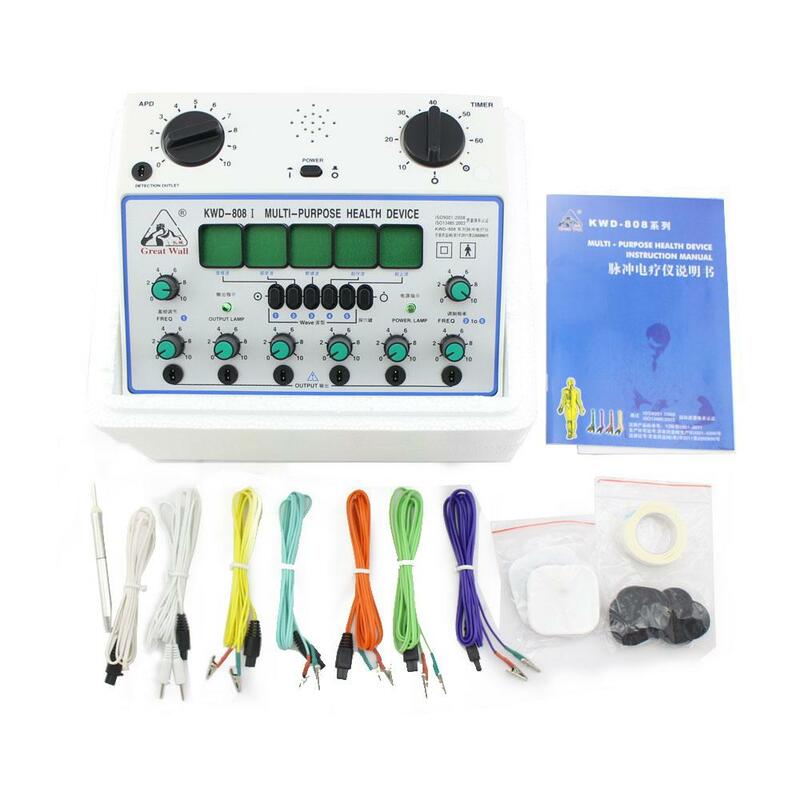 They are mainly used in clinics and hospitals for detection of acupuncture points, massage(TENS), acupuncture(electro-needle therapy) and magneto-therapy. 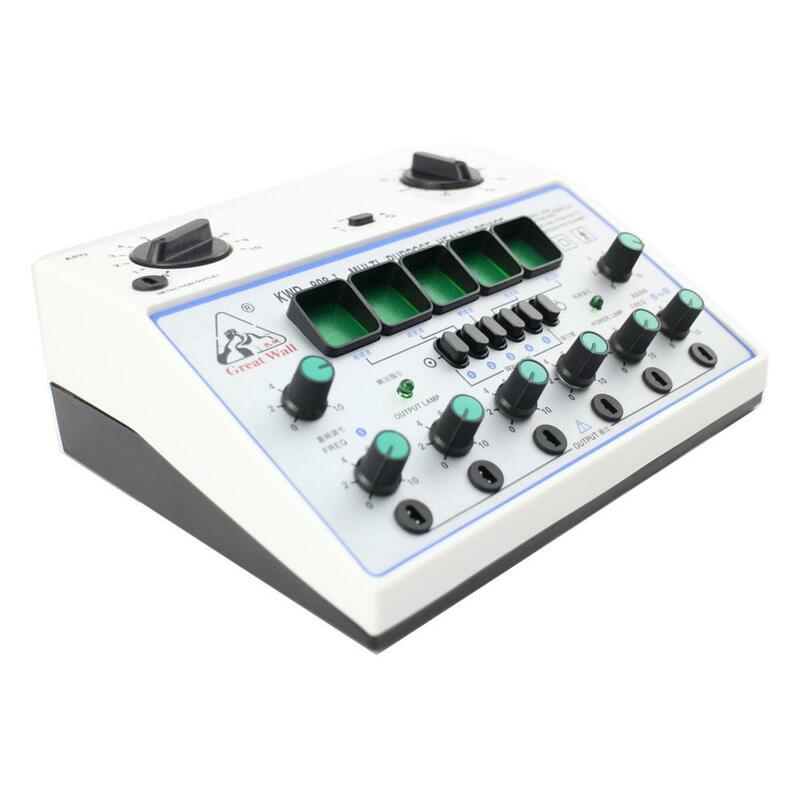 These units are equipped with built-in timer and can perform 5 different kinds of waveform and each waveform is indicated by a symbol which lights up when selected. The device is very safe, due to its low voltage output, low frequency and emission of frequency equal to that of the human body. Six kinds of wave combinations may be used at the same time or separately, and the output of each one may be regulated independently. In order to increase its effect, combine two or more outputs. Its amplitude increases to maximum and drops to zero suddenly, repeating the process. The frequency: (10 +/- 3) cycles /min to (50 +/- 10) Cycles/min. Its amplitude increases first, then drops quickly to zero, repeating the process. At 1kO load Vp3 = 24V, other pulse data are same as above.